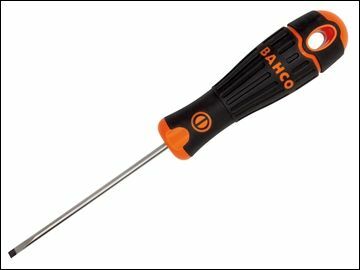 The Bahco BAHCOFIT Slotted Parallel Tip screwdrivers are suitable for slotted head screws. They have 2-component handles with vertical grooves for comfortable grip and maximum force transmission. Manufactured to ISO 2380 / DIN 5264 standards.